This job is for an Unarmed Security Professional working at a Bar / Nightclub (Gentleman’s club) in Springfield, Oregon. Primary responsibilities of an Unarmed Security Professional will include controlling access to the premises by checking ID’s to verify all persons entering the establishment are at least 21 years of age. 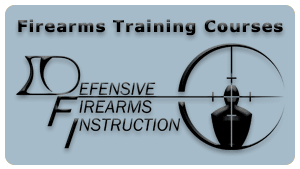 Unarmed Security Professional will be required to discourage unwanted behavior, deescalate confrontational activities, and ensure a safe working environment for all staff. Unarmed Security Professional will also be required to conduct patrols of interior and exterior portions of the building and follow proper reporting procedures. The preferred Unarmed Security Professional job candidate would be in good physical shape, have some experience in martial arts, and a calm and patient demeanor. Security License are required before the first day of work, while accommodations can be made with advance notice. Applicants can interview for the Unarmed Security Professional job prior to obtaining the required licenses. $10.00 per hour + tips.